New South Wales took the early lead in the eights but Victoria managed to get slightly in front by the half way mark. Victoria then held New South Wales at bay to win by two lengths. Queensland tired and finished a minute behind Victoria. Arthur Watson of Queensland also stroked the Qld crew in 1900, 1902 and 1904 and coached in 1908, 1920 and 1925. The sculling race was a close call between Daley and Slack for half the race. Daly then spurted and Slack had no answer. The final margin was 35 seconds between first and second with 8 seconds between second and third. This race is included although not an Interstate Championship. 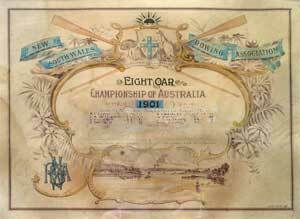 It is however the first recorded interstate women's rowing competition. McRitchie used a skiff loaned to her by the then Governor of Victoria, Lord Brassey, and she was presented with a magnificent pearl and ruby bracelet by the Duke of Gloucester. So great was the public interest in the female scullers that police were required to keep the inquisitive spectators at bay. 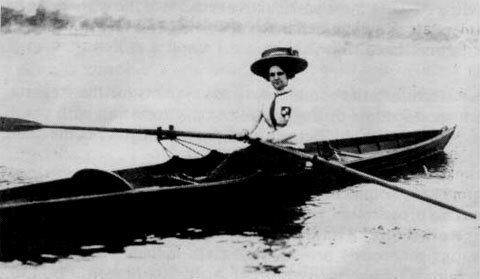 At the great age of 96 she passed away in 1973, and will for all time be remembered as the founder of the first all women's rowing club at Albert Park in 1907. Cassie McRitchie is justifiably known as the "mother" of Victorian women's rowing.